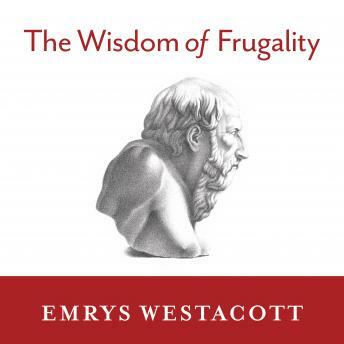 The Wisdom of Frugality explores what simplicity means, why it's supposed to make us better and happier, and why, despite its benefits, it has always been such a hard sell. The book looks not only at the arguments in favor of living frugally and simply, but also at the case that can be made for luxury and extravagance, including the idea that modern economies require lots of getting and spending. A philosophically informed reflection rather than a polemic, The Wisdom of Frugality ultimately argues that we will be better off-as individuals and as a society-if we move away from the materialistic individualism that currently rules.